Insulated water bottles have become so trendy now. Almost all people use them for going to school or work, traveling, bicycling, and many other activities. However, are all those insulated water bottles actually the same? 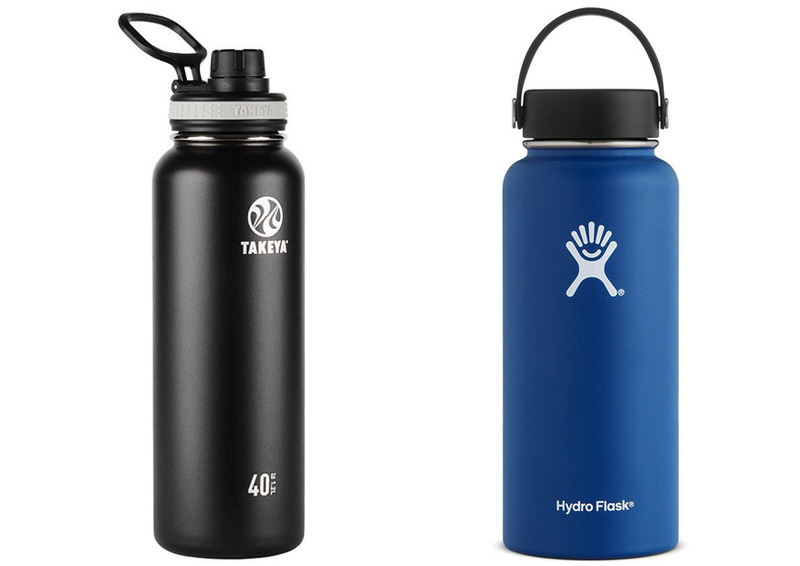 Below, we will see whether Takeya vs Hydro Flask is actually better for the money. – Which insulated water bottle gives the best value for the money. Both Takeya and Hydro Flask insulated water bottles are available in many color choices. Takeya does look simple and straightforward. It has a smooth body, an original spout lid, and an integrated loop hole. The spout lid has an ideal size; it is neither too wide nor too narrow. It allows you to drink comfortably without spilling. Takeya has various color choices, including black, graphite, navy, red, sapphire, and solar, among many others. You can choose your favorite color. The construction is made of a food-grade 18/8 stainless steel which is pure and safe. It does not transfer any flavor. On the other hand, Hydro Flask comes with a sporty design. It features a 2.19-inch wide-mouth opening which fits all Hydro Flask Straw Lids, Hydro Flips, and Wide Mouth Flex Caps. So, you can use the attachment that you feel most comfortable with. The cap has a simple loop which unfortunately does not feel very sturdy. Hydro Flask is available in several color gradients, such as cobalt, graphite, pacific, flamingo, and raspberry. The bottle is made of non-toxic BPA-free plastic and food-grade 18/8 stainless steel. According to this Wikipedia article, BPA is a dangerous substance, so it is a good thing that Hydro Flask uses BPA-free plastic. Both Takeya and Hydro Flask insulated water bottles claim to be able to preserve hot drinks and cold drinks for multiple hours. Takeya claims that it can keep hot water for 12 hours, cold water for 24 hours. On the other hand, Hydro Flask claims to be able to keep hot water for 6 hours, cold water for 24 hours. So, how effective are they in actual use? In a test with almost boiling water, Takeya starts to lose 20 degrees after six hours, 40 degrees after twelve hours, and 90 degrees after twenty four hours. On the other hand, with the amount of almost boiling water, Hydro Flask also starts to lose 20 degrees after six hours and 40 degrees after twelve hours. It is only slightly better after a full day, as it is about ten degrees warmer at this point. Note that the test was performed without opening the bottles. In another test with several times of opening the bottles at the same moments, Takeya started to lose a few more degrees than Hydro Flask after eight hours. Meanwhile, for keeping cold water, the two have similar performance. Of course, such difference is not very significant. Considering that Takeya is almost half the price of Hydro Flask, you may want to just choose the more affordable option. - FOOD-GRADE 18/8 STAINLESS - STEEL: Won't transfer flavors. Pure and safe. BPA-Free. We recommend you to choose Takeya because it has almost similar performance in keeping hot water and cold water, while being much more affordable. The spout has a perfect size, and it is available in many color choices.